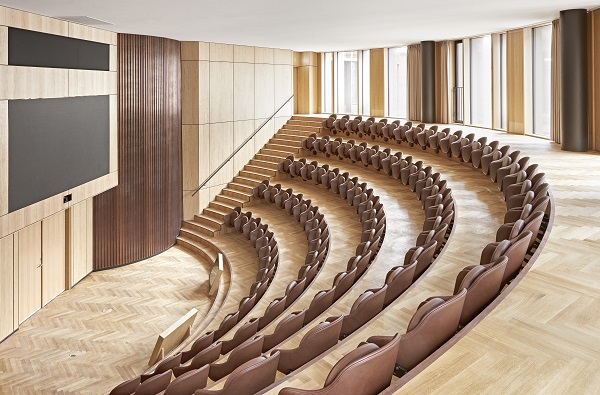 Together with Lundgaard & Tranberg Architects, Engelbrechts has developed an auditorium chair for the auditorium in Axel Towers. With its 5 round towers, Axel Towers, is located next to Tivoli Gardens in central Copenhagen. 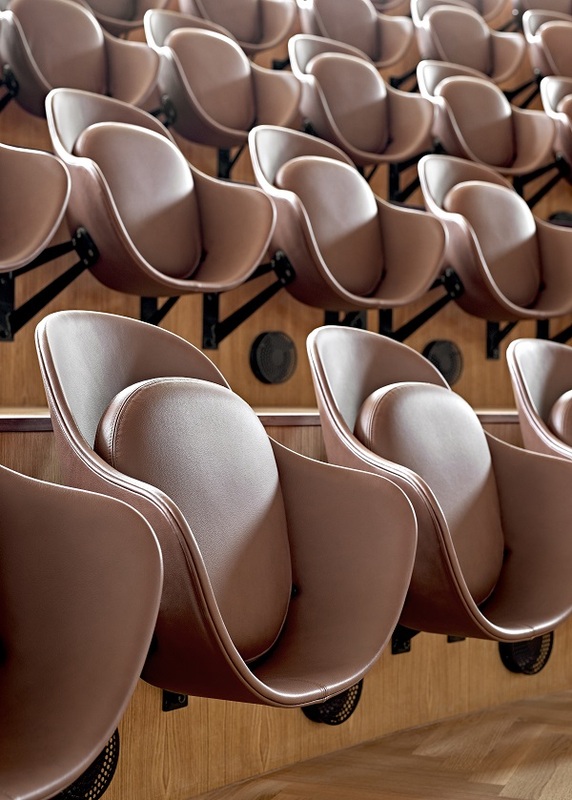 The chair is developed with a keen eye for the architecture of both the building and the room to secure a cohesion between the interior and the exterior. 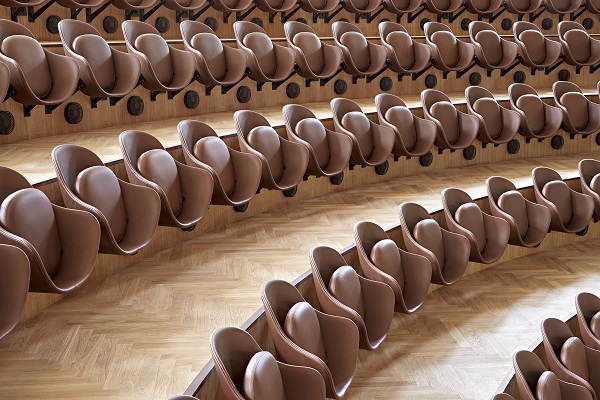 The idea was to create a chair, which was classic, but at the same time with an organic expression to suit the shape of the auditorium and the rest of the buildings. The chair appears modest in size, but is extremely spacious and allows a variety seating positions.